Roomy bag. ideal for storing wheelchair, cushion , sticks etc. Ideal for what we wanted. Very pleased with both product and service! Ordered around mid-day and delivered 1000 next day. 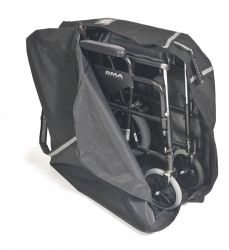 Wheelchair fits into bag perfectly and keeps it clean when not in use. Will definitely go to this site when I require anything else. fantastic delivery,excellent product, would definitley reccomend this company. Order received 6 working days from UK to Australia, which is pretty good . Ideal got it for my Chiltern Invadex Shower Chair to take on the plane it's ideal and seems to be substantial. 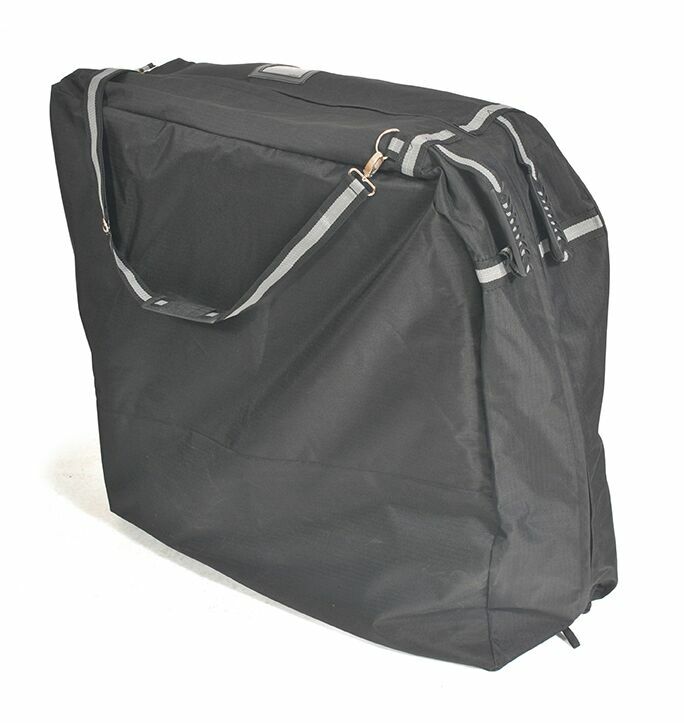 The travel bag is sturdy and the perfect size for storing the wheelchair. At the airport baggage uplift it stands out on the carousel. The travel bag is exactly as described and is well worth the money. I ordered this late on a Monday afternoon, it was despatched on Tuesday and I had it 9.30 Wednesday morning. First class service. Thank you. Fantastic service! It was possible to get it delivered express to Denmark. Now we can go happily on vacation. we bought this cover bag in the UK because we couldn't get any in germany. it fits, looks very durable and i like the handles ( 2 short ones, 1 longer - shoulder strap). whether it really is up to task of protecting the walking aid we bought it for will be seen at our next trip .... to the UK. Good value. Well made and reasonable price. Prompt service too. Excellent service, item received by return of post. Quality of travel bag is very good. The bag is excellent quality but we have a suggestion to make. This is that you add wheels to the bottom of the bag so that it can be pulled along like a travel case on wheels.